The holidays are here and friends have been asking me what they should bring to their potlucks and friendsgivings. 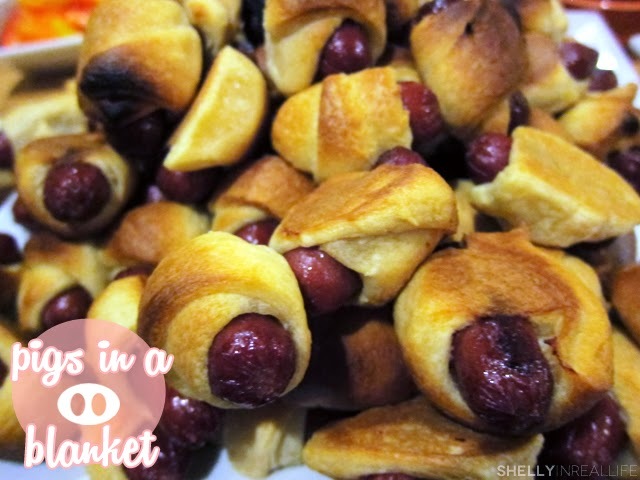 These mini pigs in a blanket is perfect for someone who doesn't really want to spend too much time in the kitchen. 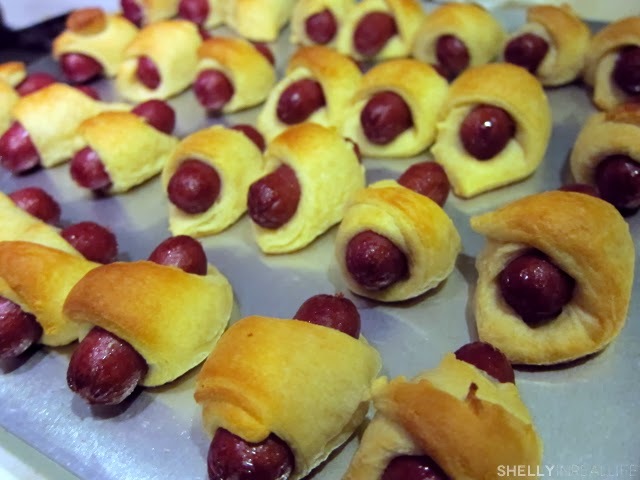 It is always a party favorite - who doesn't love tiny cocktail sausages wrapped in a roll that's crispy on the outside and fluffy inside? Dip in some ketchup and you have the perfect little bite. The best part is you only need 2 ingredients and no other fancy tools. 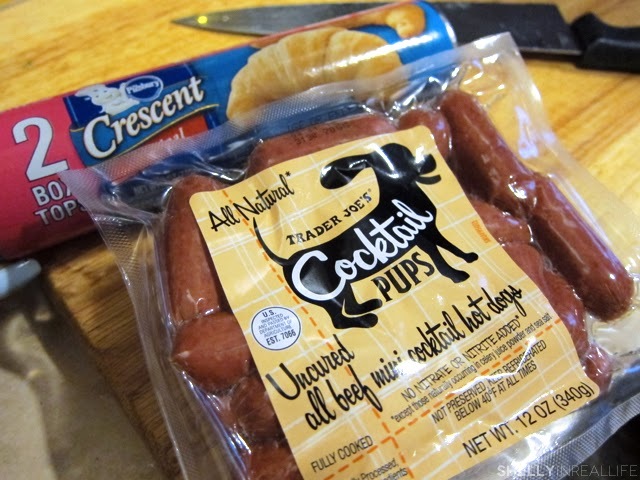 Enter pre-cooked cocktail sausages and some pre-made crescent dough - thank you Pillsbury dough boy, woohoo! 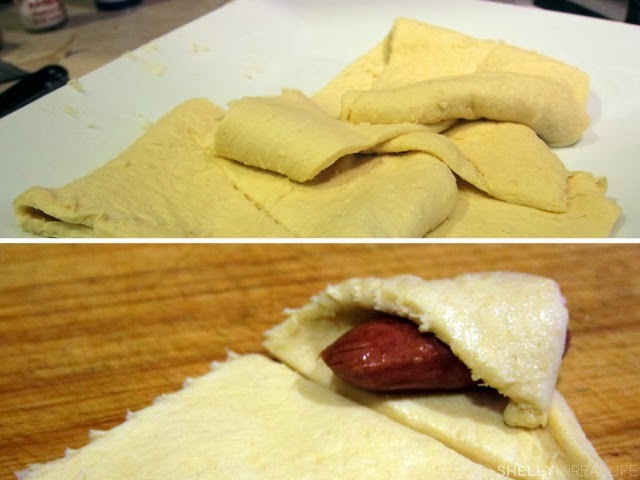 Take the dough, cut it in thirds and wrap it around the sausage. Start with the largest part of the triangle and roll to the thin tip of the dough. Doing it this way will help it look more visually appealing and ultimately have a better texture and more crunch. You can do this before your guests arrive or bring it pre-rolled to a party and finish it in the oven. If you do decide to bring it to a party not cooked, don't forget to ask your host or hostess if you would be able to use the oven! 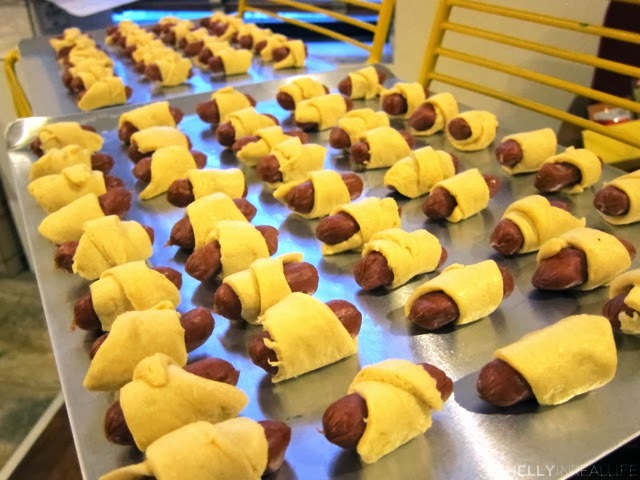 The best part about pigs in a blanket is how quickly they cook, all you need is about 15 minutes and they are ready to be served. I love them straight out of the oven, but these little puppies stay fresh for at least an hour after it's done. Serve with your choice of condiments, my favorite is with ketchup + sriracha! 1. Prep dough & wrap. 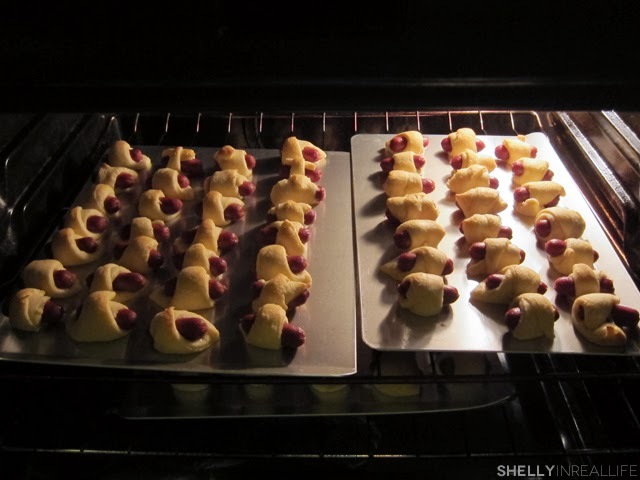 Pop open the can of crescent dough and cut each piece of crescent dough lengthwise into 3 narrow triangles. Wrap it around the sausage. Start with the largest part of the triangle and roll to the thin tip of the dough. Put on a cookie sheet. 2. Cook in oven. Preheat oven to 375 degrees. Put in cookie sheet in oven, and cook for 12-15 minutes. Watch it carefully at around 12 minutes and once it's golden brown, it's ready. (I forgot to take mine out and burnt it a little bit).